Here is your Sagittarius Horoscope for August 2018. Every month, you will find at WeMystic the astrological forecasts for your zodiac sign. The partial solar eclipse in Leo, which will take place on August 11th, will affect the IX House of Sagittarius, improving any work started by the asteroid Vesta in the sign of the centaur by focusing your attention on your own spirituality. It is worth noting that Vesta will enter its direct phase under the sign of Sagittarius on August 1st. This will promote a process of connection with your own essence and a recapitulation of the past, supported by Jupiter in the XII House. Although there is no specific inclination for romance in this period of the year (Chiron in retrograde in the V House of Sagittarius), your social life will be very active thanks to the entry of Venus into the XI House. Recreational activities and activities at work with close friends will be theme for the month and will have the blessing of the stars. It is a good time to strengthen ties with old friends. The finances of the natives of Sagittarius will be restricted during August, due to tension in the II House of the sign, where Pluto and Saturn will be in retrograde. Mars will join this alignment, entering the II House of the centaur, on August 12th as part of its apparent phase of retrograde (which will culminate on 08/26 in the same location). With three planets in retrograde in the II House of Sagittarius, money will not flow easily, which can lead to feelings of scarcity or pettiness. Likewise, you may feel impelled to spend more than you have for pride’s sake (Mars in retrograde). If you want to take advantage of the available energy in this transit in a constructive way, the best thing you can do is check your finances with a magnifying glass, verify your true monthly expenses, and make sure not to get provoked or have your ego upset, which ultimately contribute nothing to your daily life. In the workplace, Uranus will begin to retrograde in the VI House of Sagittarius starting on August 7th, generating unnecessary debates in the workplace due to the tendency to want things done your own way, regardless of any alternatives or proposals from others. Uranus in retrograde in the VI House of Sagittarius is a planetary position that represents exposing the fears that block your receptivity of others’ ideas and your own projection in the workspace. professional development and establish positive relationships with mentors and hierarchical superiors. It should be noted that the dwarf planet Ceres, which enhances efficiency, productivity, and capacity for administration (organization of people, spaces and tasks), will be in the X House of Sagittarius. On the other hand, the eclipse of the Sun in Leo, which will take place on August 11th and will impact the IX House of Sagittarius, indicates the possibility of projecting your image internationally or getting involved in educational initiatives (as an instructor or student). It is important to point out that, at the time of the eclipse, Mercury will be retrograding in this position (the IX House of Sagittarius) until August 18th, so any proposals you submit will go through a period of revision and adjustment, before being put into practice. 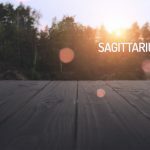 For students of Sagittarius, these solar events indicate academic success and new objectives, such as the possibility of starting another career in parallel to your first, learning in foreign institutions or participating in exchange programs. With Uranus in retrograde in the VI House of the centaur starting on August 7th, you will tend to experience stress, nervous breakdowns and joint pain as well as rashes due to allergies (watch out for reactions to food or medications). It should be noted that Juno will also be present in the VI House of Sagittarius, which is an excellent influence if you decide to change your lifestyle or choose a new exercise and nutrition plan because of physical problems. In this sense, the astrological climate will be favorable for meditation and internal revision, since you have Jupiter (ruling planet of Sagittarius) under the influence of Scorpio, and the asteroid Vesta initiating its direct phase in the sign of the centaur, following the first of August. It’s time to ask yourself what bothers you or is causing you discomfort (at home, work, or other places), what you really want to do, and what the possible limitations are that block the way. Jupiter will be located in the XII House of Sagittarius, so it is a good idea to do a recapitulation and use the past as a place of reference (not a place to stay), and project yourself towards what the desires of your heart currently are (what you wanted before may not be what makes you vibrate in the present). This process can be a little conflictive, due to the entrance of Lilith in the III House of Sagittarius (08/06), where it will share the location with the South Node of Karma (things that must be overcome). Lilith in the III House of Sagittarius will agitate your thoughts and could push you to defend your ideas on a whim, that is, regardless of whether you are right or not, or even if it causes an altercation due to your position. However, the influence of the South Node in the III House of Sagittarius will help you to analyze these patterns and neutralize them, so long as the follower of the centaur uses their analytical abilities and does not let themselves get a bad temper. It is important to remember that there will be three retrograde planets in the II House of Sagittarius starting on August 12th. Pluto, Mars and Saturn will be in a phase of apparent retrograde in this sector, which indicates a patience for changing your internal values. Nothing will come of it if you try to do the work of your conscience at full-speed, because whatever you omit will explode in your face, literally. Take however much time you need and learn to respect it.